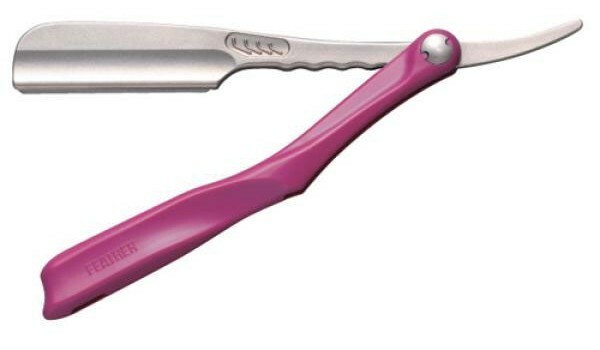 Artist Club SS razor is made for more comfortable and smoother shaving feeling. 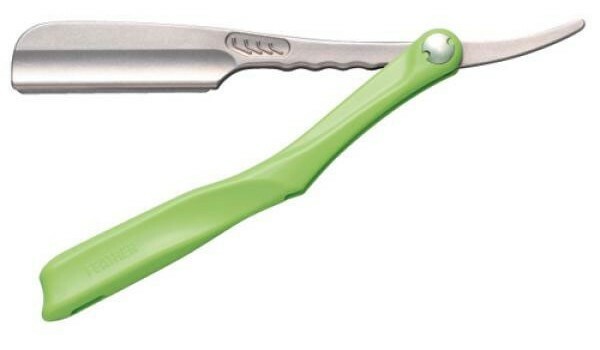 Rounded shape of the tip of razor and the moderate blade exposure make the shaving feeling softer and smoother. The Feather Professional Artist Club SS Japanese Straight Razor is the ultimate Japanese straight style replaceable blade shaving system. Made from Stainless Steel, the blade holder is both beautiful and built to last. The handle is made of a very high quality and durable resin which will stand up to heat and cleaning chemicals. Easy to clean spring action blade cover. These revolutionary products can be sterilized - handles and all - simply by immersing in boiling water.